Young executives across the industry are assuming greater responsibilities in the areas of operations, finance, marketing and technology. CSD partnered with the Young Executives Organization (YEO) to look at these emerging leaders. Growth in the c-store industry today, as it was decades ago, is a complex, multi-tiered web that requires everyone within an organization to focus beyond their immediate needs and anticipate the needs of tomorrow. These family-owned businesses continue to be role models by virtue of their longevity, but also because of their commitment to greatness. This is what makes the convenience store industry so special. Convenience store industry leaders prove time and again that innovation and hard work are the foundation that supports steady, meaningful growth. This growth isn’t only important from a sales standpoint, but is vital to a company’s long-term stability when analyzing the human element. C-store companies must be able to produce young talent that will guide the business into an uncertain future. As such, the future of the convenience store industry is heavily dependent on individual chains and the industry as whole. That’s why the National Advisory Group (NAG) and Convenience Store Decisions are proud to partner on the Young Executive Organization’s (YEO) 40 Under 40 Leaders. This year’s 40 Under 40 class is a diverse group of committed convenience store staffers that hold positions ranging from president and CEO to chief ­ financial officers to marketing administrators, and all points in-between. These are not just the leaders of tomorrow, but in many cases, the leaders of today. Next-generation leaders should be given multiple opportunities to experience the roller coaster ride of leading—of being accountable and of taking charge. 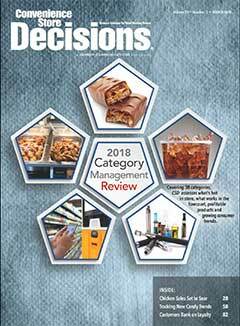 Learn about their companies and their accomplishments and keep them on your radar when evaluating what makes a company successful in the hyper competitive convenience store industry.